The third annual PAW Patrol Roll Patrol Road Tour, a multi-city life-size event that blends the award-winning toy line with the top rated preschool property produced by Spin Master Entertainment and broadcast on Nickelodeon. 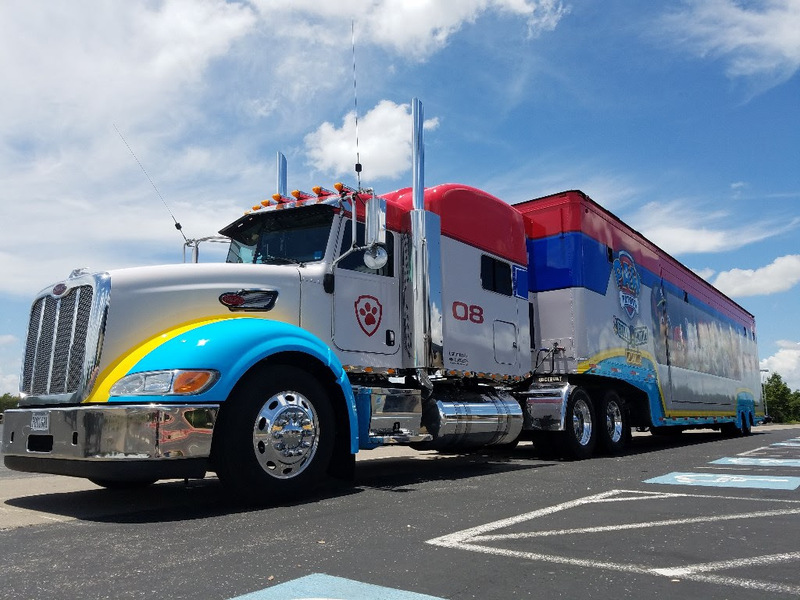 The tour is traveling across North America allowing kids to connect with their favorite PAW Patrol characters through an immersive PAW Patrol-branded experience. Kids can explore the inside of the life-size PAW Patroller and meet their favorite PAW Patrol characters, as well as reenact their own rescue missions through an interactive play experience featuring the new Sea Patrol theme. Families can celebrate the experience with a memorable photo and limited edition giveaways. Each PAW Patrol Roll Patrol Tour stop is free to the public and will make stops at select Walmart, Toys“R”Us and Target retail locations in 13 different markets. Kids can meet their favorite PAW Patrol characters, and families can celebrate the experience with a memorable photo. Please pre-register at http://www.pawpatroltour.com/register.aspx. If pre-registration is full, walk-ups are still welcome but admittance is not guaranteed and you may experience extended wait time. Friday, September 29, 3-7 p.m.
Saturday, September 30: 11 a.m.-7 p.m.
Sunday, October 1: 11 a.m.-7 p.m.